This full-day shore excursion hits the highlights of Rome. 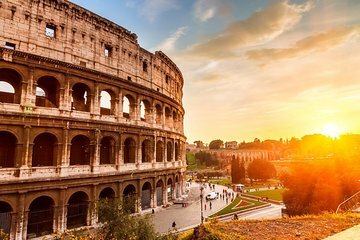 A private guide whisks you through the Italian countryside from the Civitavecchia Port to the capital city of Rome, where you will see the Colosseum, the Arch of Constantine, Trevi Fountain, the Spanish Steps, and more. If selected, tour the Vatican and Sistine Chapel with skip-the-line tickets and a private tour guide. This is an efficient way to see the city’s most well-known and landmarks in one fell go.